Starting with my absolute favourite, Heimat der Heinzel. It's probably the most polished of Cologne's markets, with incredible craftsmanship going throughout the entire run of the market (just look at that entrance!). I'll admit it hasn't long been my favourite, however this year it truly took my breath away. 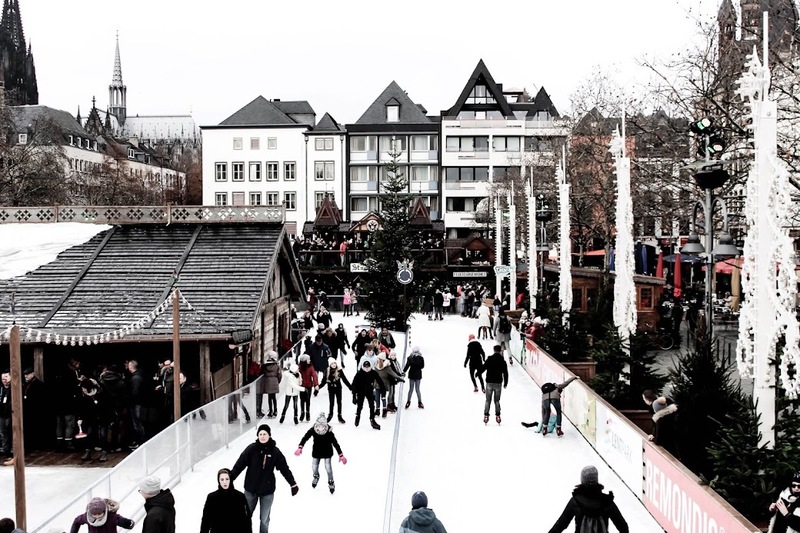 The ice rink is the main attraction here, with a bridge looping over halfway, allowing you to watch ice skaters glide their way up and down while you sip on your glühwein. There's also a ferris wheel with adorable little red carriages and a huge amount of stalls. 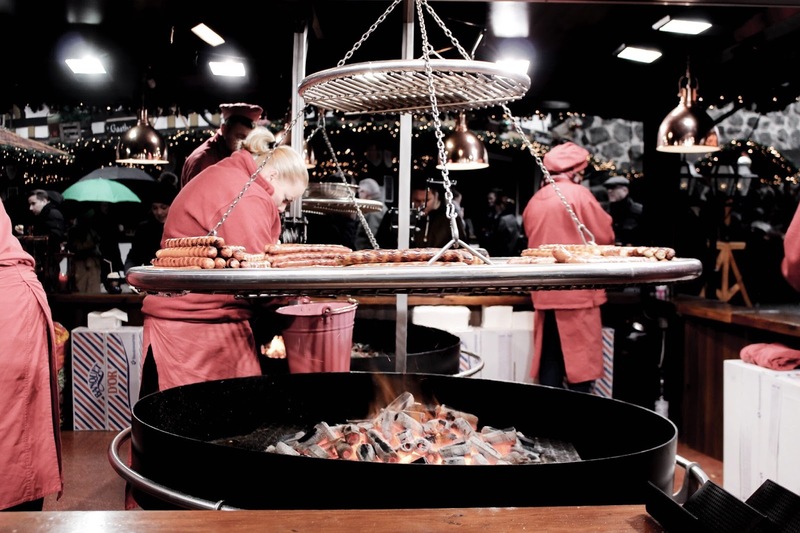 Needless to say, the usual suspects such as Bratwurst and lebkuchen can be found at most Christmas markets, however when it comes to food, Heimat der Heinzel goes above and beyond - and never without heavily embellished stalls to add to the occasion! This market truly is one hell of an experience and one that has a definite feel-good vibe about it. If you're trying to decide which market to dedicate the most time to, look no further. 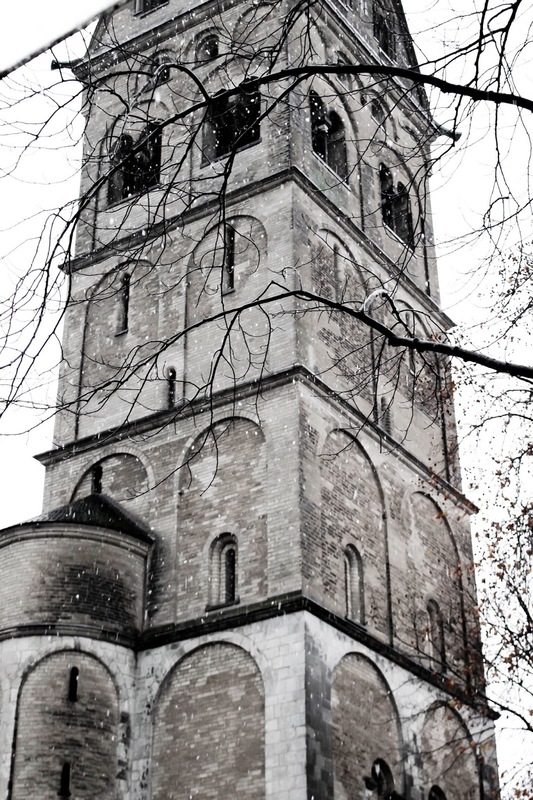 When visiting Nikolausdorf this year, I was surprised to find it wasn't actually that busy during the day. Although, it's all relative! Going by previous years, this market becomes much busier towards the evening, when locals finish work and head to the markets for after-work drinks. 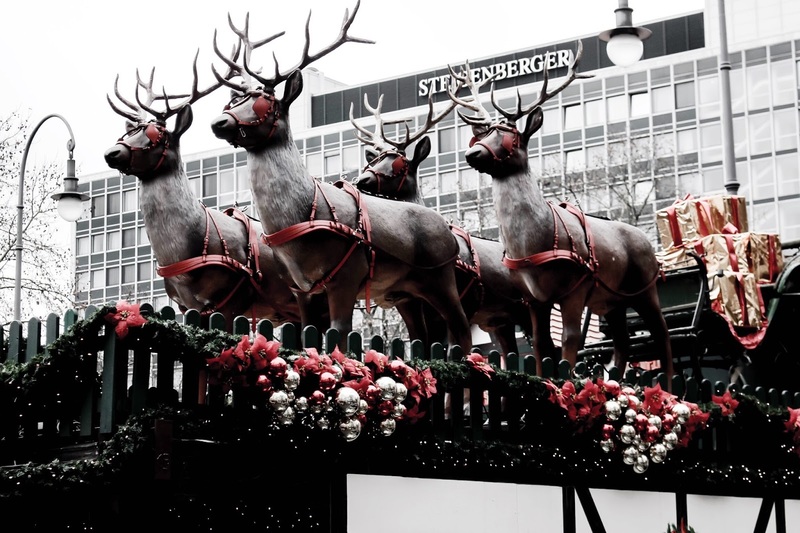 Children would probably enjoy the animated giant moose head at the entrance, as well as the various animal models throughout the market, including reindeers. Oh I should also probably mention it's bitterly cold at this market due to the wind chill factor - I finally learnt from experience and wore an extra layer this year. Do yourself a favour and whip out the thermals! A couple of standout features at Nikolausdorf include unusual craft stalls (I bought a couple of quartz coasters with rims I plan to paint gold - hello Anthropologie) and hard-to-find foods such as backfisch (fried fish in a bun) and chocolate-covered fruit. This market in particular seems calmer than most, and so it's perhaps one to visit earlier in the day to help you to acclimatise. Plus, if you're coming in the direction from Cologne Cathedral, you'll inevitably pass the dreamy streets of luxurious boutiques along the way - perfect! Surprise, surprise. 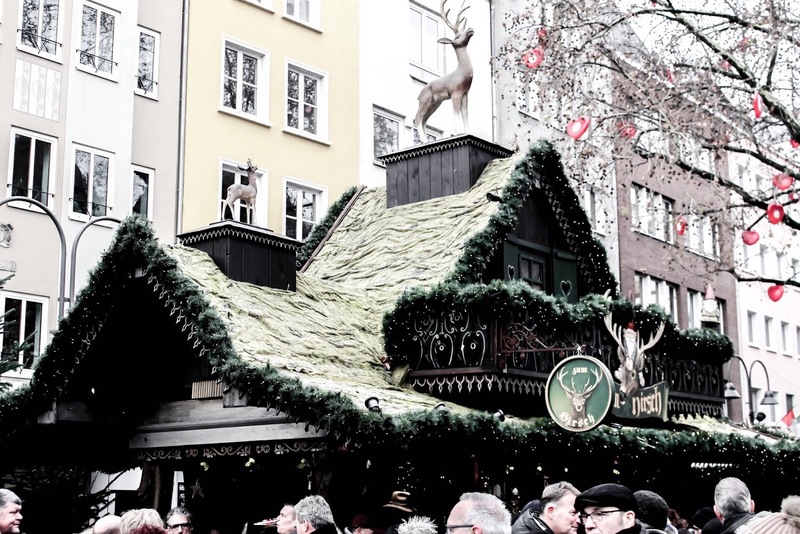 Weihnachtsmarkt is included in my guide to Cologne's best Christmas markets! Heimat der Heinzel may well be my personal favourite, however I can totally understand why Cologne Cathedral's market is most likely the most famous of the bunch. The backdrop of the twin-spired medieval cathedral is breathtakingly beautiful and even more so by night. You find yourself torn between looking ahead at the markets and above at the architecture! 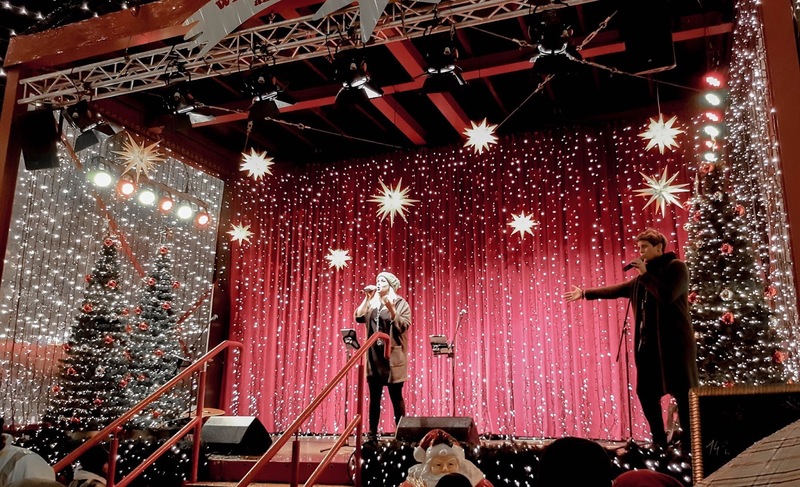 The open space means lighting during the day is brilliant (for any photographers reading this), although by night you get the added bonus of listening to live music within the Nordmann fir towering 25m at the heart of the market, illuminated by 50,000 LED lights. Yeah. It's just as spectacular as it sounds! 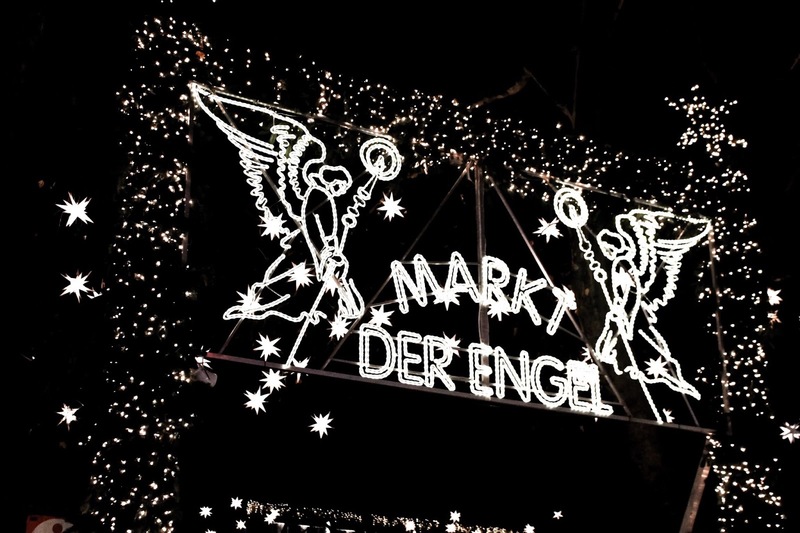 One for the romantics, Markt der Engel is the most magical of Cologne's Christmas markets. 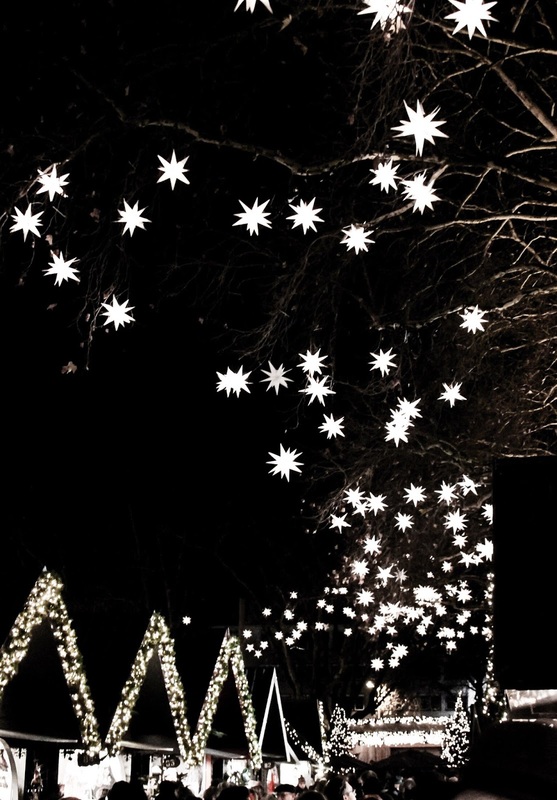 1000 star-shaped lights are strung from the above surrounding trees - once daylight has faded, it's a sight you'll never forget. In fact, it's become the image that now springs into my mind whenever someone mentions Christmas markets. Dreamy. 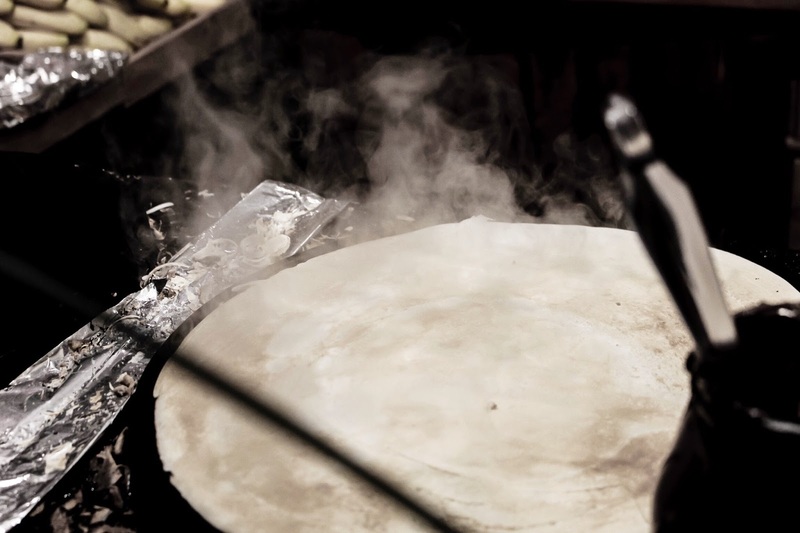 93 stalls run the stretch of the market, each selling intricate crafts, delicious food and other treats. 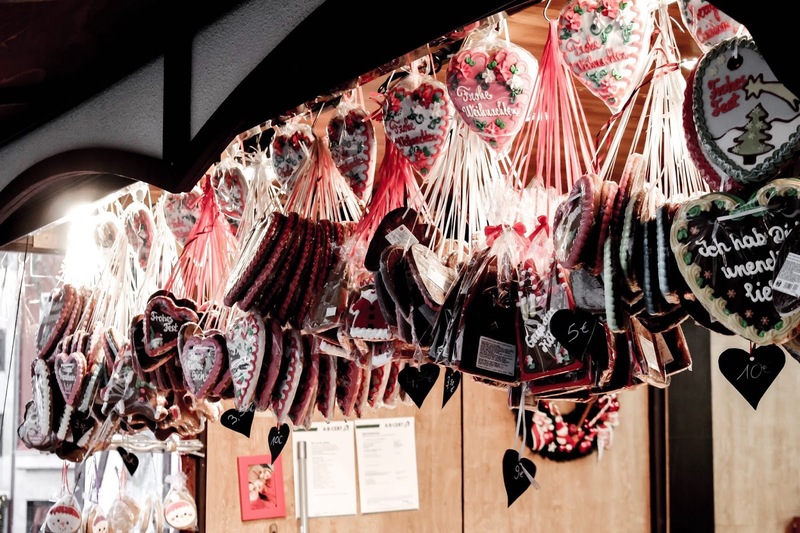 Oh and even better, an enclosed (warm) Käthe Wohlfahrt store can be found near the centre of Markt der Engel, providing the perfect opportunity to pick up a commemorative glass bauble or ornate tree topper from your trip! ... And there we have it! Although, what if you've never visited Cologne before and you want to see what the city has to offer? 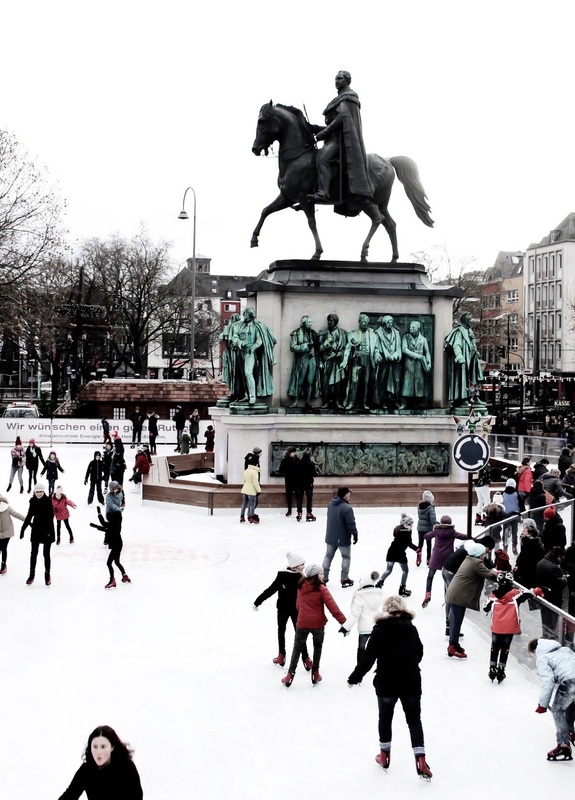 In between Christmas markets, it can be a great idea to check out some of Cologne's other points of interest as it prevents becoming desensitised by the markets' beauty. Trust me, it's a thing - and a thing you (obviously) want to avoid. It's free to enter Cologne Cathedral and it will probably be the most peaceful twenty minutes or so you'll experience that festive season. The architecture is incredible, something that dawns on you when you realise the historic building was built by hand - no machines involved! Check out the crib, light a candle, take a seat and then head back into the excitement of the festive stalls. Okay, so you can't predict snow - but wow, did it make this year's trip all the more special. 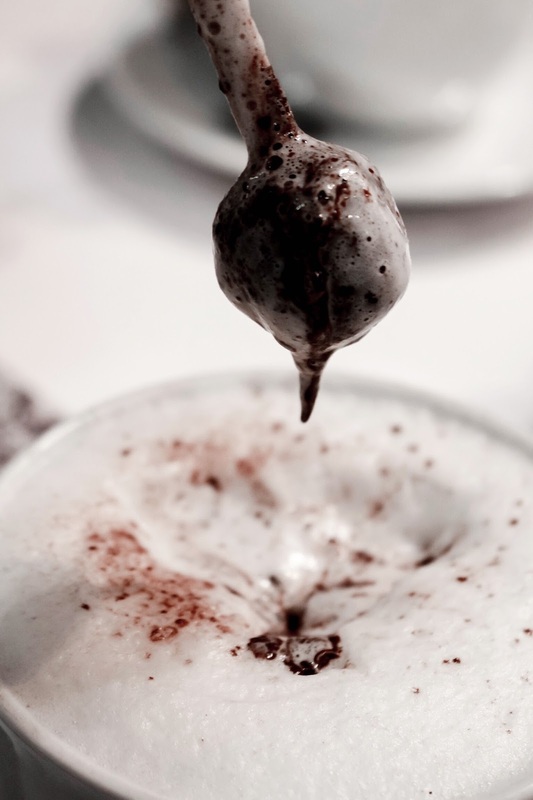 I was sipping on the most indulgent hot chocolate I've ever had while travelling, when my brother pointed out the sudden heavy snowfall outside. 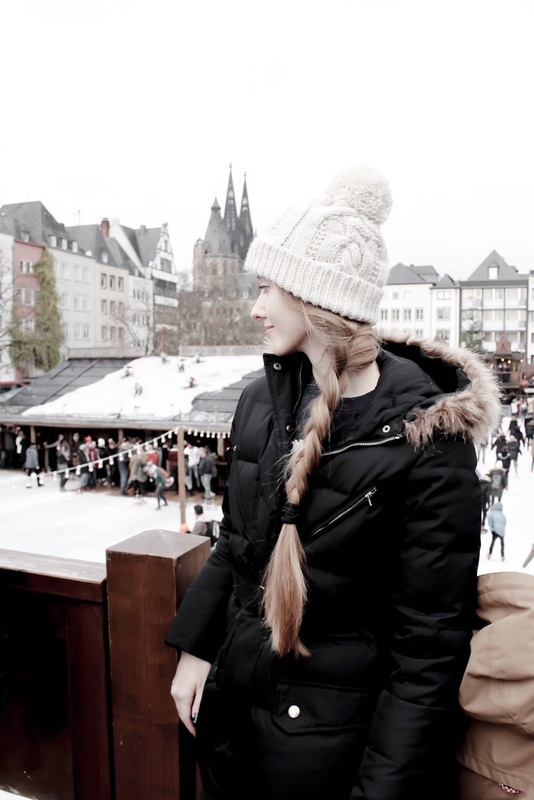 Hot chocolate, festive jumpers, Christmas markets, snowfall - it's my idea of heaven! 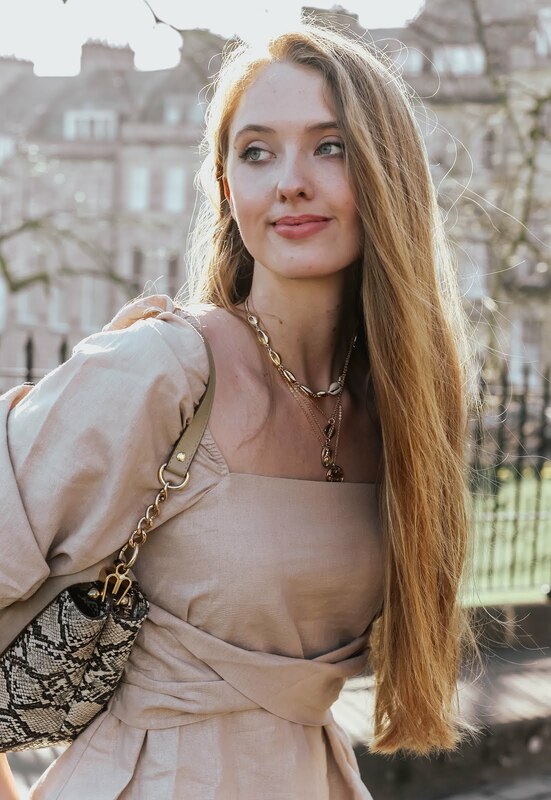 Speaking of which, visiting boutiques in between roaming from market-to-market can be a really fun thing to do, especially with so many fashion and home stores lining the sidewalks. 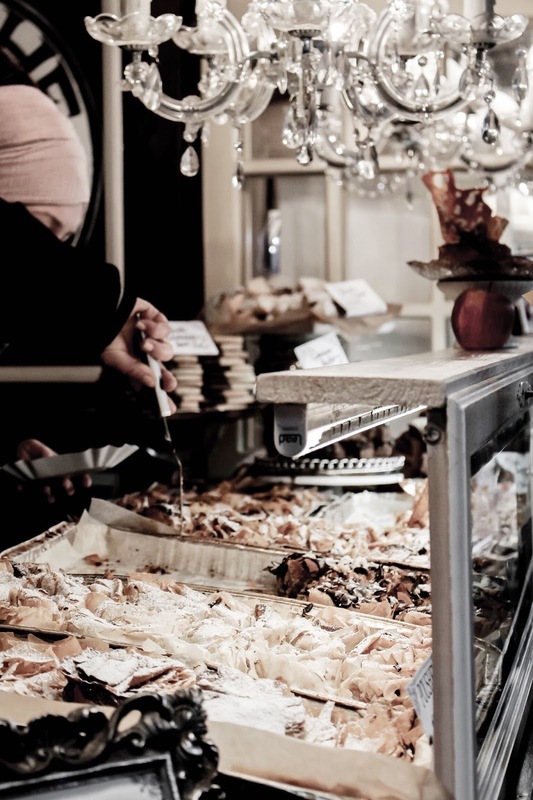 There are plenty of cafés to dip into for warm drinks and biscuits. 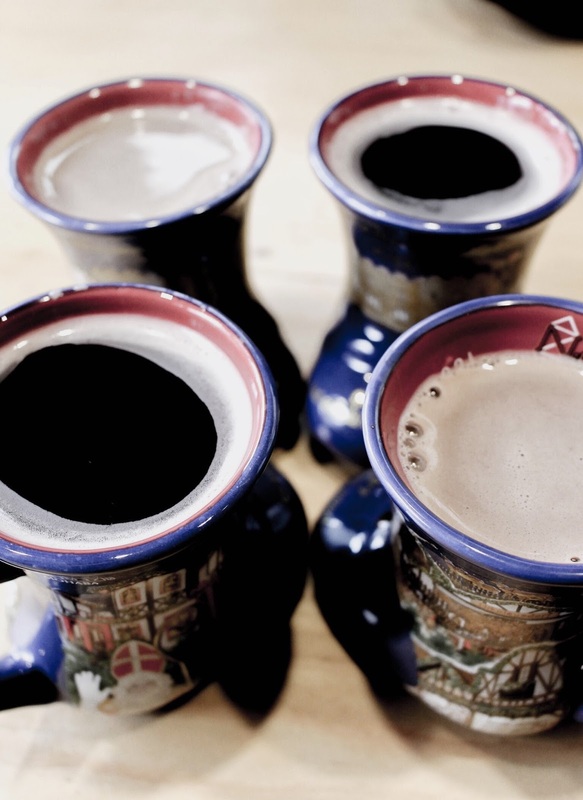 Oh, and while we're on the topic of drinks, don't forget to pick up a festive mug (bonus point if it's boot-shaped) from one of the Christmas markets. You leave a deposit each time you order a drink (try the gluhwein or hot chocolate with amaretto) and so then it's your choice whether you return the mugs or not. I mean, as far as collections go, boot-shaped festive mugs are pretty fun, right?! W H E R E T O S T A Y ? Your options for when it comes to accommodation are endless, as is the case with most cities. In recent years, I've always stayed with family at Hilton Cologne Hotel. The decor is modern, it's always incredibly clean and the staff have always been consistently friendly. I have a really lovely memory created this year, of heading back to the bar late at night for warm drinks while watching live golf on a huge screen. Am I a fan of golf? Can't say it's ever really occurred to me. But it was the environment that made it all the more cosy. Visiting the German Christmas markets in Cologne is one of my all-time favourite festive traditions. 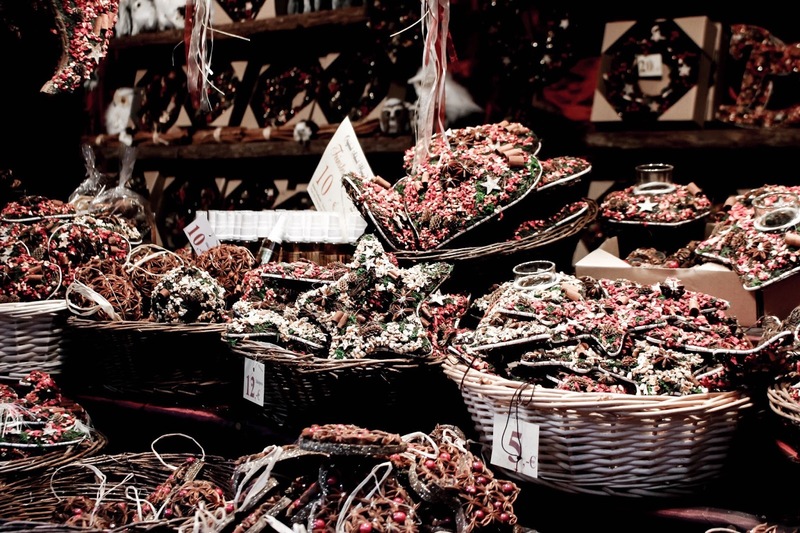 Have you visited any Christmas markets this year? I'd absolutely love to hear your festive thoughts - let me know in the comments below! Wow looks like you had the most amazing time! 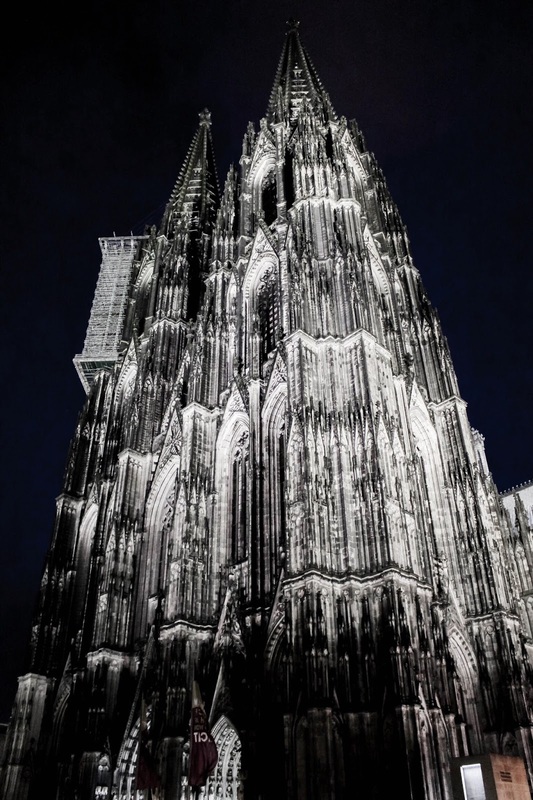 Cologne looks like an incredible place to visit, what a stunning place and how incredible is that black and white shot of the cathedral, so gorgeous! I'm really taken with these shots. 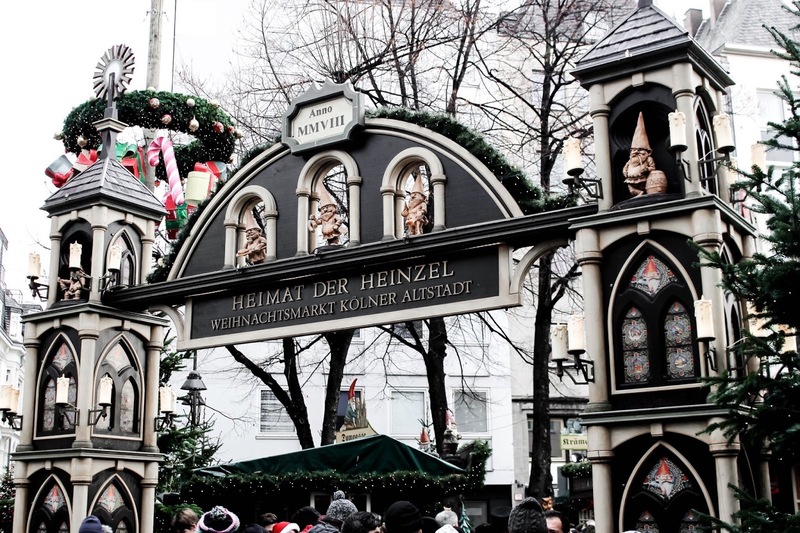 Christmas markets are so wonderful to visit, I haven't been to one this year sadly. The Christmas Markets in Berlin were rather magical, even though it was freezing when we visited. Stunning pictures, you look quite at home there Gabrielle! Wishing you a very Happy Christmas and New Year! Let's catch up in 2018! Love those pictures! You look amazing as always! 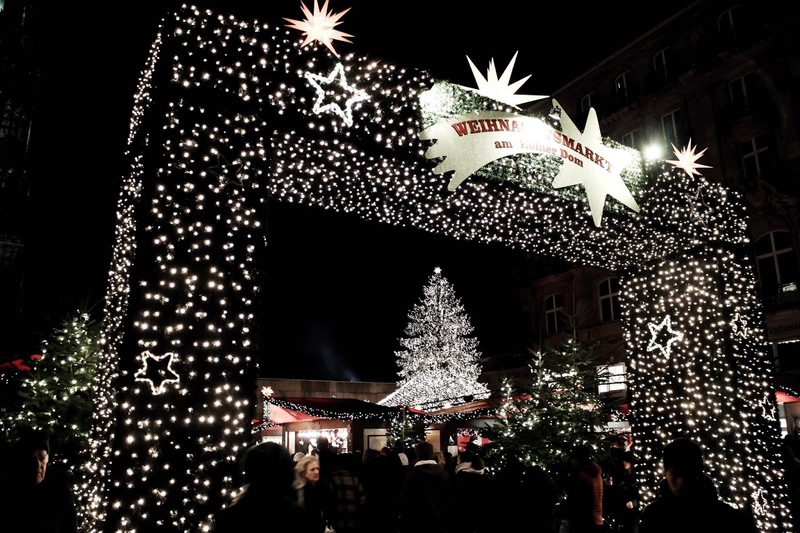 I dream about visiting some Christmas markets, they look so magical and beautiful!!! This was a great guide Gabrielle!! I'd love to visit some German Christmas markets one day, they just look the best and so festive! Sounds like you had an amazing time. Everything is so festive and lovely! Great for getting in that holiday spirit! I know you visit every year and I honestly look forward to your Christmas market posts! You capture the place so beautifully in pictures and writing and it almost makes me feel like I'm there with you. What an absolutely exquisite display of Christmas cheer! 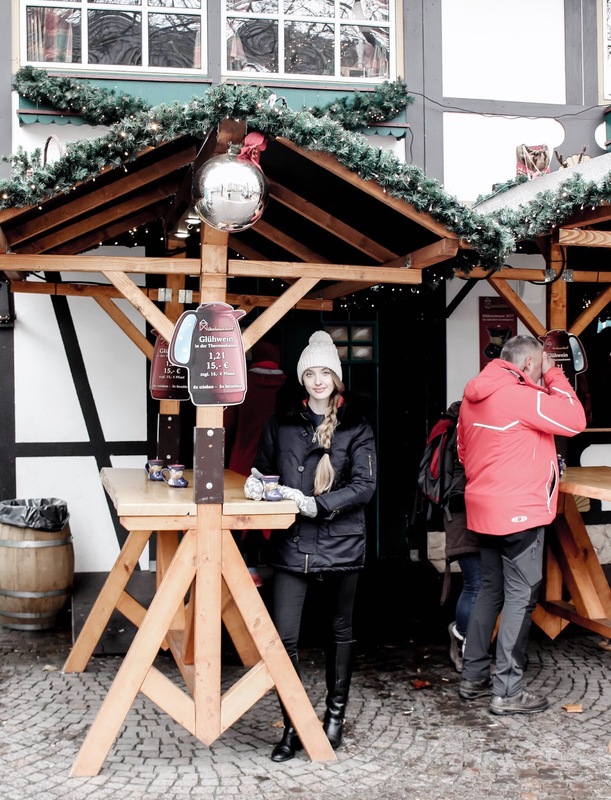 There's nothing better than an enchanting trip to a Christmas market to get into the holiday spirit! I would like walking through the markets eating traditional sweats! German Christmas markets are so so beautiful! 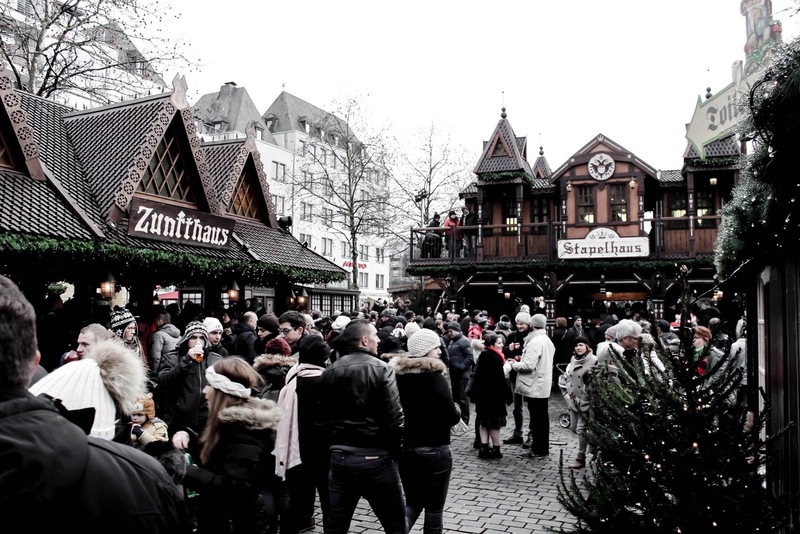 Lovely guide to Cologne's Christmas markets - would love to visit one day! Have a wonderful Christmas and a great start to the New Year, Gabrielle! It looks so festive there. I love all the decor. Your photography always blows me out of the park but daaamn, this has some of the best photos! I love all of your photos! This place looks beyond fabulous and really makes me want to visit. Thank you for sharing! If only I had Cologne (or Europe) at my doorstep this time of year! It is just magical. It's magical period but during Christmas time and with that snow, it feels like stepping into a old Hollywood movie. Just beautiful. 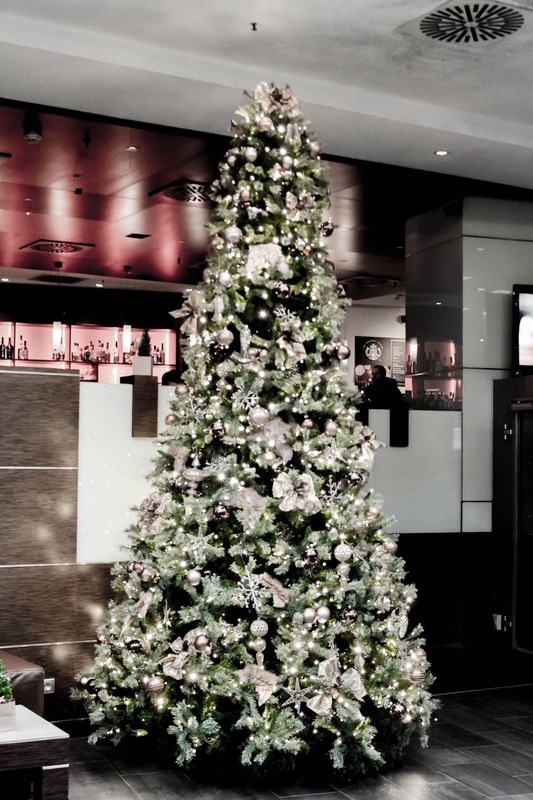 Enjoy Cologne Gabrielle and have the most amazing Christmas and New Year. Oh wow, these photos are breathtaking! We don't really have markets like that here, but it is a completely different season. It looks so festive and romantic although you did mention the cold a few times, haha! 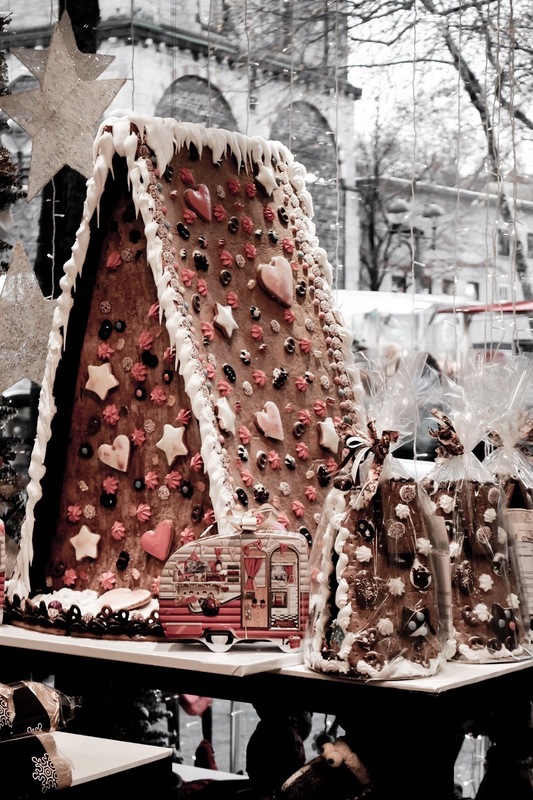 Nice pics... i love those Christmas markets.. 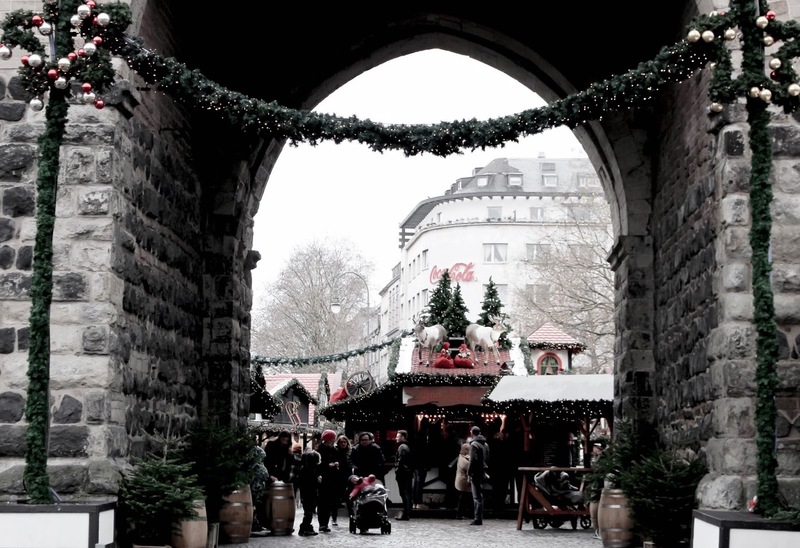 I haven't visited any Christmas markets this year, but I would love to visit some in Germany someday! Omg it's so beautiful at all the markets! The first one looks amazingggggg. 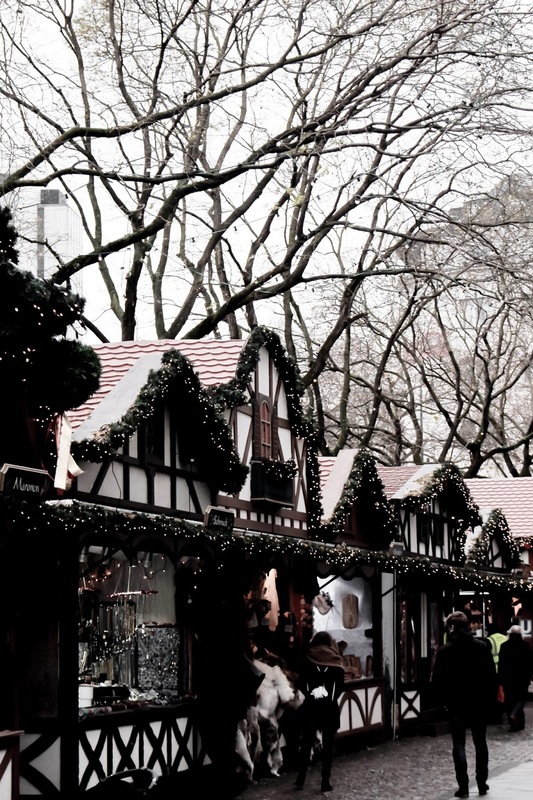 Those christmas markets look absolutely magical! Great post! absolutely beautiful pictures!!! I wish it is snowing too in Tokyo! so jealous! I always love living vicariously through you with this tradition. These photos are beautiful Gabrielle. I've got to get myself over there one year! I hope your Christmas was wonderful lady! Wow, I didn't know there were several Christmas markets in Cologne! This makes me want to go even more... They all seem different and worth a visit. And of course, the cathedral is a wonder in itself. Thanks for sharing this really useful guide! It is absolutely breathtaking! Oh, how I would love to go. Gabrielle, you are so lucky. I'm fixated on that hot chocolate and the decorations on the buildings. I love your outfit. That jacket and those boots rock.